According to this morning’s weather report, the weekend is supposed to be bringing warmer weather, at long last! 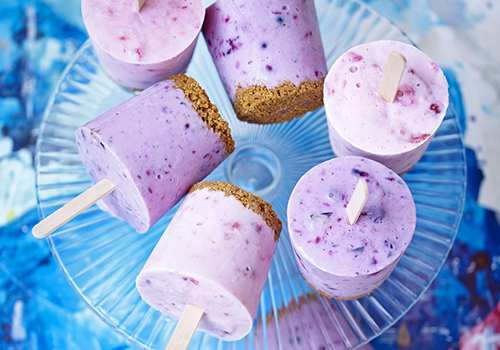 Here are 15 of the most delicious ice lolly recipes to help keep you cool in the summer heat. Whizz up 250g ripe strawberries, 100ml natural yoghurt (or apple or orange juice) and 1 teaspoon honey in a blender or food processor. Taste, and add a little more honey if you think you need to. 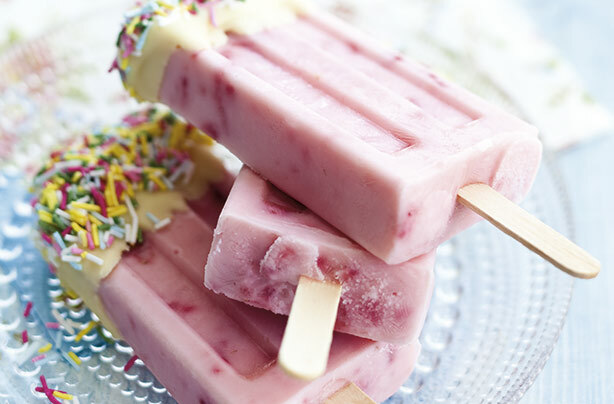 Divide the strawberry mixture between 4 ice lolly moulds, then pop a stick into each one. 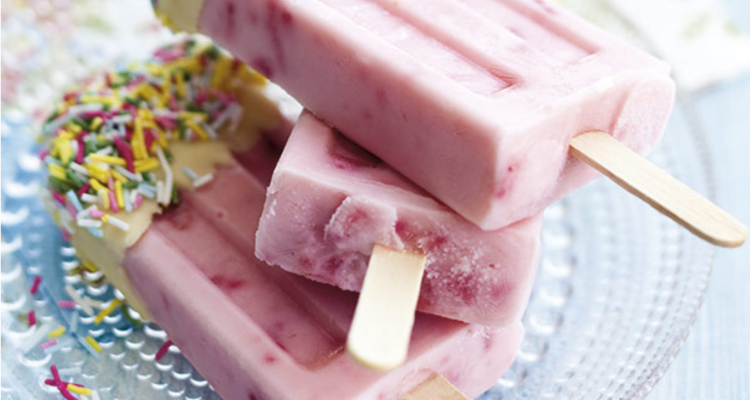 Put the ice lollies in the freezer for at least 4 hours or until solid. Put strawberries, caster sugar vanilla extract in a bowl. Crush fruit until roughly broken up and the sugar has dissolved. Mix in low-fat natural yogurt. 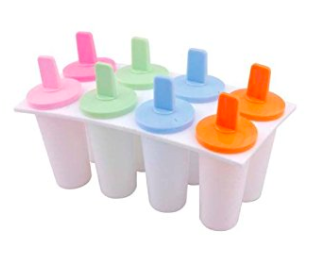 Pour into 6 or 8 ice-lolly moulds and freeze. Once frozen, take them out of the moulds and dip tips of the lollies in melted white chocolate, then quickly dip them in sugar balls or strands. Serve as soon as they set! 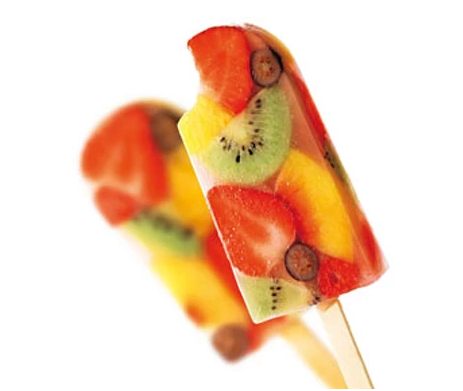 Snugly arrange some of each fruit in eight 75g ice lolly moulds. Pour enough juice into each mould to just cover the fruit. Insert sticks and freeze until solid, six hours (or up to two weeks). Put the sugar and water into a small saucepan and boil until syrupy (about 3 minutes). Allow to cool. Puree the strawberries and sieve to get rid of the seeds. Puree the watermelon and mix with the pureed strawberries and cooled syrup. Pour the mixture into ice lolly moulds and freeze. 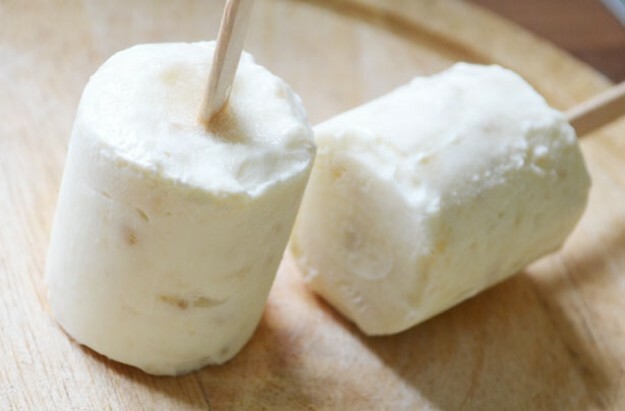 Place the yogurt ice pops into the freezer for an hour or two, or you could freeze overnight if need be. It depends how long your child will wait. Place into a blender with cacao, maple syrup, lemon juice, half the amount of almond milk and blend until smooth. Slowly add the rest of the almond milk until you achieve the desired consistency. 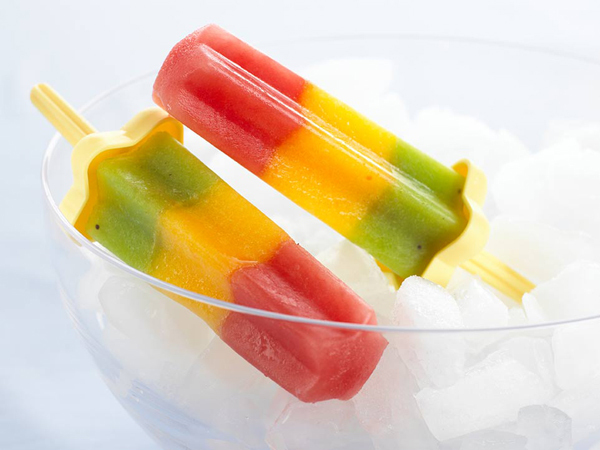 Pour into prepared ice lolly moulds, insert ice lolly sticks and freeze for at least 3 hours, better overnight. You can replace maple syrup with some raw honey or medjool date. Place the biscuits in a food processor and blitz into crumbs. Add 2 tbsp condensed milk and blend again until the crumbs start to clump together. Divide the biscuit crumbs between 8 paper cups, pressing down with the back of a spoon. Make sure you scrape out every last crumb, then you won’t have to wash the processor before the next step. Roughly chop any large berries. Put half the red berries, half the remaining condensed milk, and half the yogurt in the food processor and blend until smooth. Remove the blade from the processor and stir through the remaining chopped red berries. Divide the mixture between 4 of the paper cups. Repeat with the purple berries and remaining ingredients. 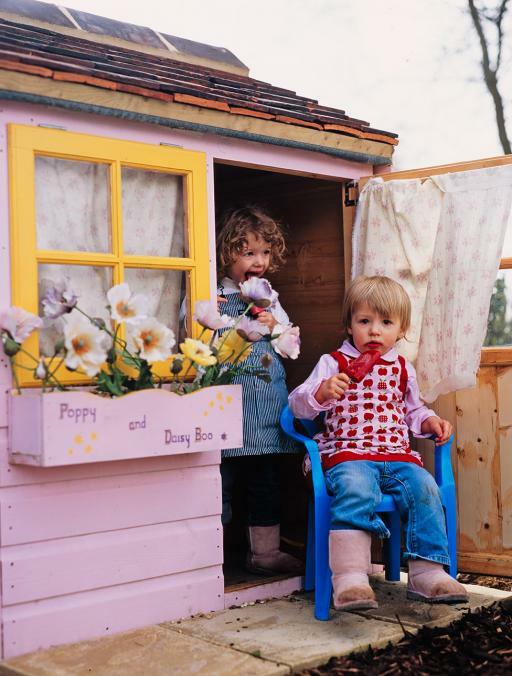 Place a lolly stick into each cup, pushing down into the biscuit base to help it stand up straight. Freeze for at least 4 hrs before serving. 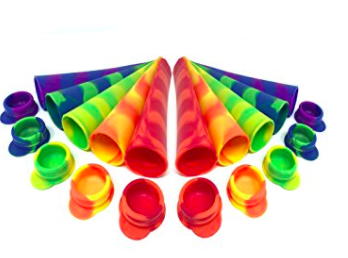 To remove the lollies from the cups, tip upside down, and gentle squeeze the cup until the lolly slips out. Simply remove the stones from the dates and peel the bananas. Then place the ingredients for your chosen flavour into a blender and blend for a minute until smooth, pour into an ice lolly mould and freeze – do the same for each flavour. To make the mixed ones simply pour half of one flavour into a mould, allow it to freeze for an hour and then top the mould up with the second flavour. My lollies needed to freeze for about 5 hours before they were ready to be enjoyed! *You can also use fruit juices instead, if you prefer. To get an ombre look, use the two Italian sodas (or juices if you prefer) that are in the same(ish) color family. 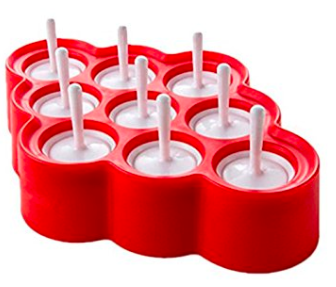 Then pour one of the Italian sodas into the popsicle molds at the desired height. I poured most of mine to the halfway point. Put the mold in the freezer for about 90 minutes. Then, remove the mold from the freezer and let it sit out for several minutes. The goal is to get it a little bit melty again…mostly frozen, but with some of the liquid melted toward the top. Once that happens, add the second favor of juice, Italian soda, etc on top. 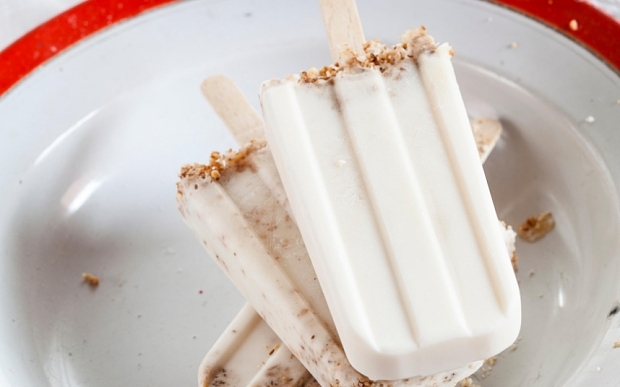 Add popsicle sticks and put the molds back in the freezer until full frozen (about 4 hours). Remove and enjoy. 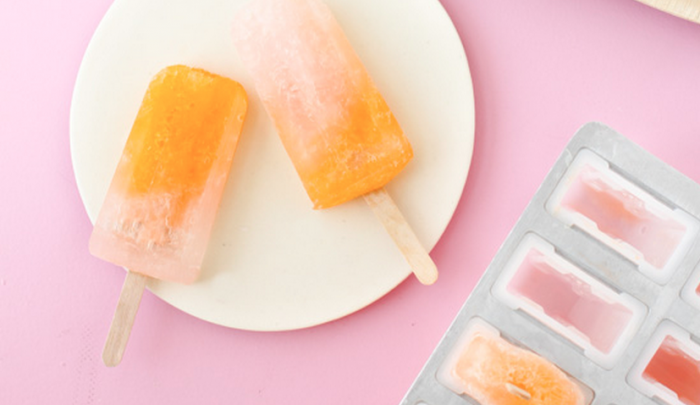 To loosen the popsicles from the mold when they’re ready to eat, run warm water over the underside of the tray for 20-30 seconds. Place the sugar and 100 ml of water in a small saucepan and bring to the boil, stirring to dissolve the sugar. Boil steadily for 3 minutes. Meanwhile, beat the eggs and salt with an electric mixer until frothy. Slowly pour the sugar syrup into the egg mixture and continue to beat for 2-3 minutes, or until the mixture has thickened. Stir in the concentrated juice. Whip the cream until it holds soft peaks and then fold the cream into the mixture. Churn in an ice cream machine, if you have one; otherwise pour the mixture into a lidded container and freeze until firm. Soften the ice cream enough to scoop into balls. 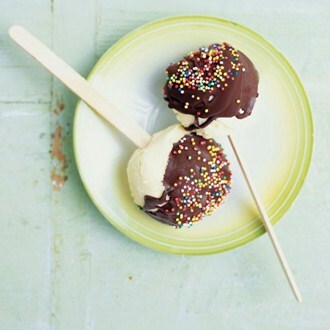 Make about 10 balls of ice cream and then insert a stick into each. Place on a tray lined with non-stick baking paper and return to freezer to firm up. Make the sauce by melting the chocolate in a small, heatproof bowl set over a saucepan of just boiling water. When melted, stir in the oil. Dip each ball of ice cream into the warm chocolate sauce, then sprinkle with hundreds and thousands. Allow the chocolate to set and then serve immediately. No ice cream machine? No problem! Beating in eggs and whipped cream will introduce air and fat, meaning this will be soft even without churning. Bash with a wooden spoon to open. Simmer for five minutes until the fruit is soft. PurÃ©e with a hand blender and then rub through a sieve. Taste and add sugar if it needs it. It should be on the sweet side. 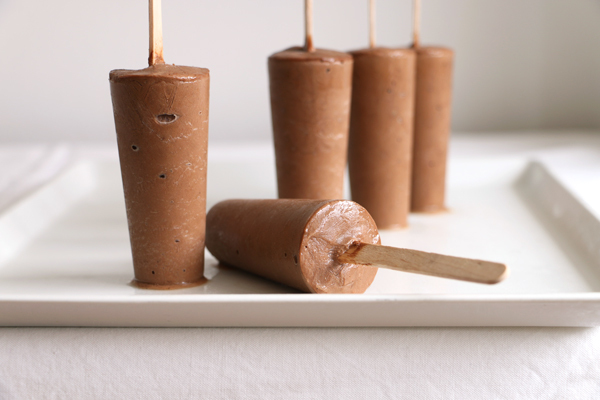 Layer up alternate spoonfuls with posh ready-made custard in lolly moulds. Blitz the bananas and peanut butter together in a blender until mixed and a smooth consistency. 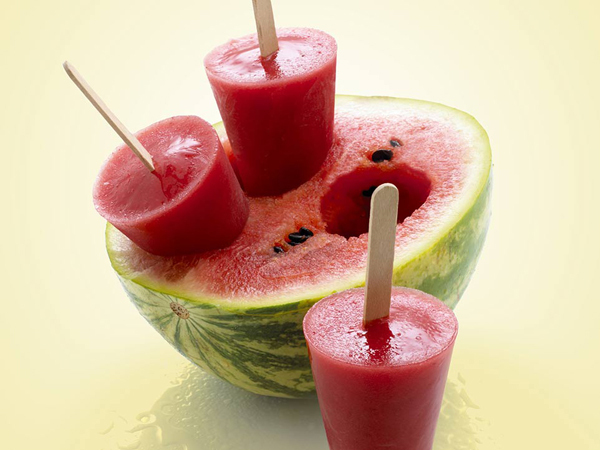 Pour into 3 of the popsicle moulds, insert a wooden stick and place the moulds into the freezer. 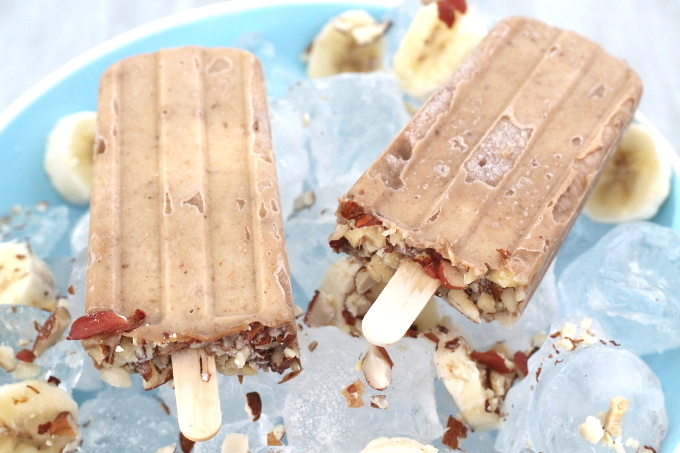 After 30 minutes sprinkle some chopped nuts on the top of each popsicle and return to the freezer for at least another 90 minutes, or until the popsicles are frozen. I created the striped version by pureeing mango and coconut milk to create the yellow stripes and then strawberries and coconut milk to create the pink stripes. 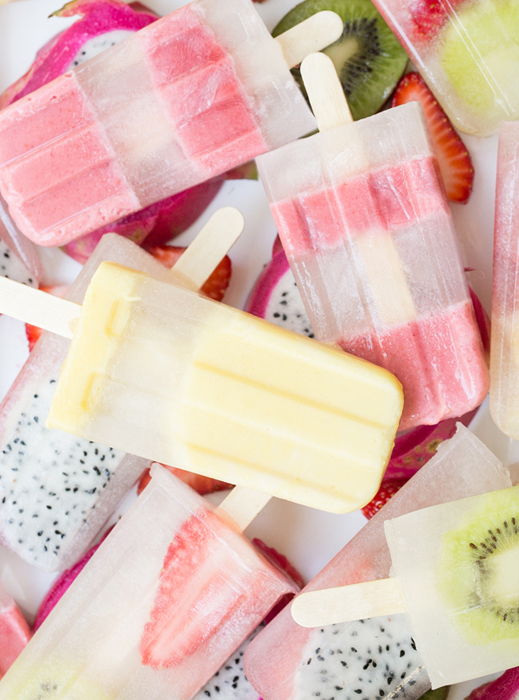 I used kiwis, strawberries, pineapple and dragon fruit for the popsicles. They’re so easy to make too! 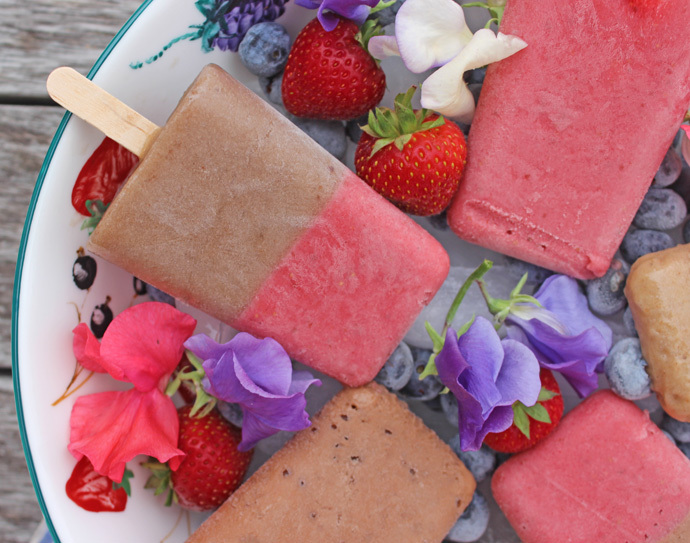 Just buy a bottle of coconut water, add it into a popsicle mold with sliced fruit and freeze! Now, if you like them a little sweeter, feel free to add some sugar to the coconut water or even some pineapple or orange juice would be great too. To make the striped ones, puree your favorite fruit with coconut milk. Then pour a small amount of the puree into a popsicle mold. 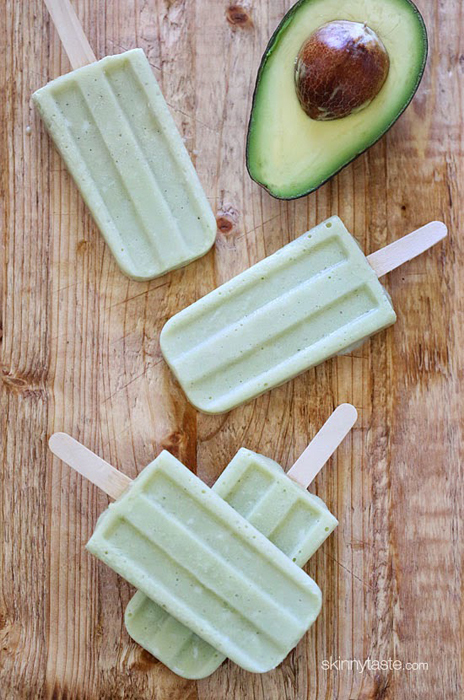 Freeze for about 30 minutes, then add in a layer of coconut water, freeze again for 30 mins, and add in some puree. Keep this pattern going until you reach the top of the mold. Enjoy and get ready to go coconuts over these! 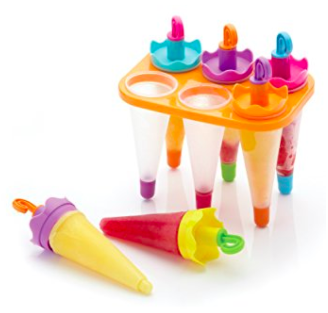 Ice Pop Silicone Moulds With Leak-Proof Caps, BRAMBLE!